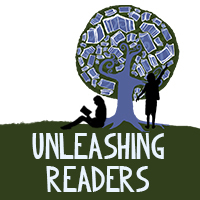 Goodreads Summary: Leaves are falling, a cold wind is blowing, geese are heading south. Clearly, winter is coming. 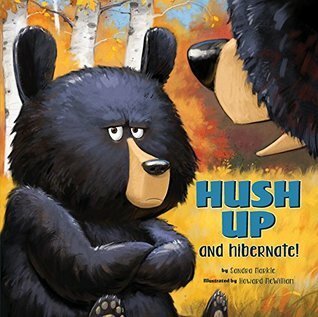 It’s time for black bears to do what they always do this time of year―hibernate. 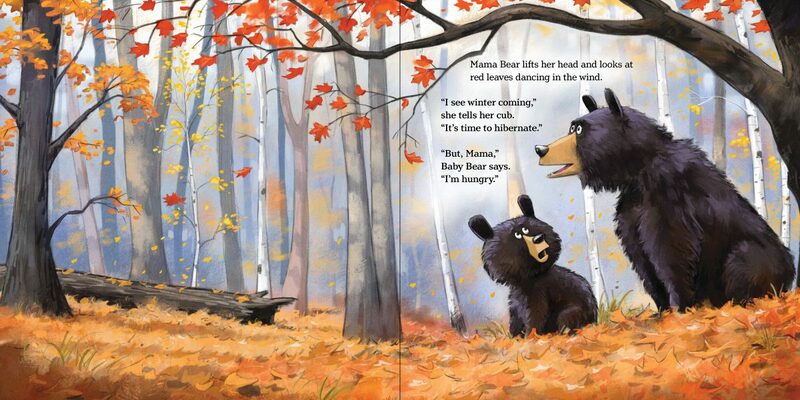 Kids will get a kick out of this romp of a tale about a black bear cub that finds every excuse imaginable to avoid the inevitable go-to-bed moment. Will Mama Bear finally win? Or will Baby Bear come up with the ultimate reason to skip going to sleep? Review: As I sit and write this post, it is 9:50pm, and my older child is upstairs not sleeping. The chance of him crafting an excuse to come out of his room within the next 10 minutes? High. So saying that I enjoyed this book is an understatement. I found great joy in reading this book to my son. We first read it a few weeks ago, and I’ve told him to hush up and hibernate a few dozen times. It’s a clever book that parents will enjoy immensely. The illustrations are beautifully done (take a look at the gem shared below!). If you take a look at the cover image (above), you will see the baby bear’s face. The way he’s reacting to his mother is an all-too-familiar look that makes me chuckle. I absolutely adored this charming book. When my son chooses it for his bedtime book, I have a warm, happy feeling. This signifies that it is a good book and one to keep. Teachers’ Tools for Navigation: It would be fun for kids to create their own version of this book—imagining an animal that is refusing to do something and giving every excuse imaginable to a parent. I suspect that this would be a fun writing exercise for kids, and they might reconsider their constant excuses. Discussion Questions: What are some of the excuses that Baby Bear uses? What excuses have you used? What strategies does he use, and do they work?